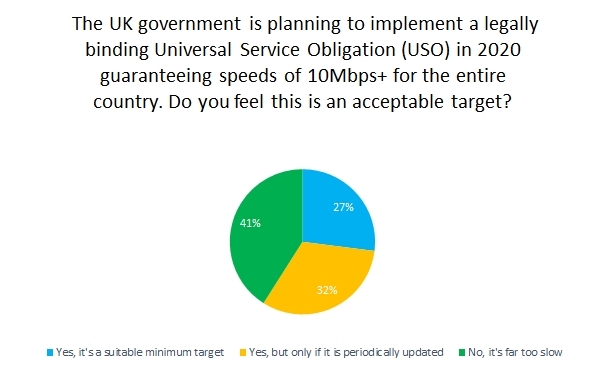 But in our survey 41% of respondents said that the 10Mb USO target was “far too slow”. And a further 32% only agreed it was suitable if it was going to be periodically updated in the future. When asked what the target should be, 34% chose 50Mb+, and 21% said it should be 30Mb+. 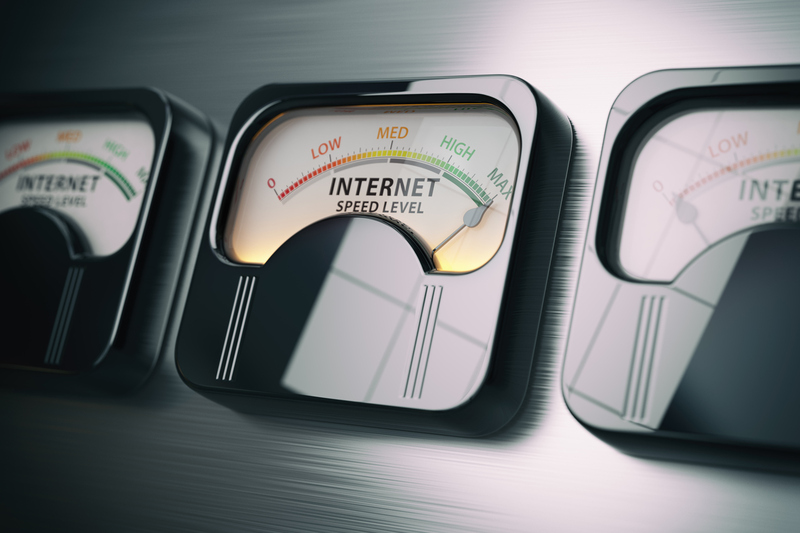 At present Openreach says that around 95% of premises can get access to 30Mb+ broadband. 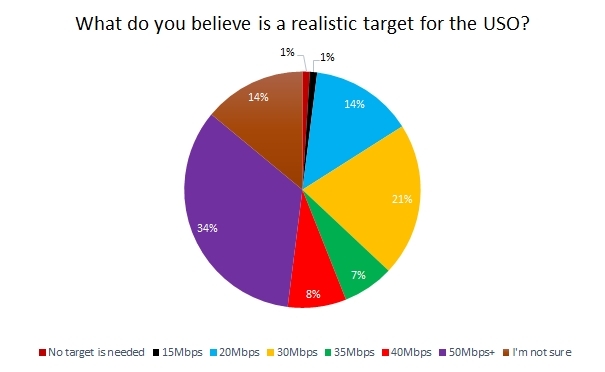 We also asked about the Broadband Delivery UK goal to provide 24Mb to 98% of premises by 2020. 71% agreed this was an acceptable goal. Of the 29% who disagreed, 47% said it should be 60Mb and 32% wanted a minimum 60Mb. The broadband USO is certainly a step in the right direction, but aside from the questions over speed there will also be problems for a small minority of premises where broadband installation is unusually expensive. The USO has a cost threshold of £3,400, which means homeowners and businesses would be liable for any expenses over this amount. In some cases it may not be realistic to install a fixed line connection, and alternatives such as mobile broadband or satellite may be the best solution.